Hi there. 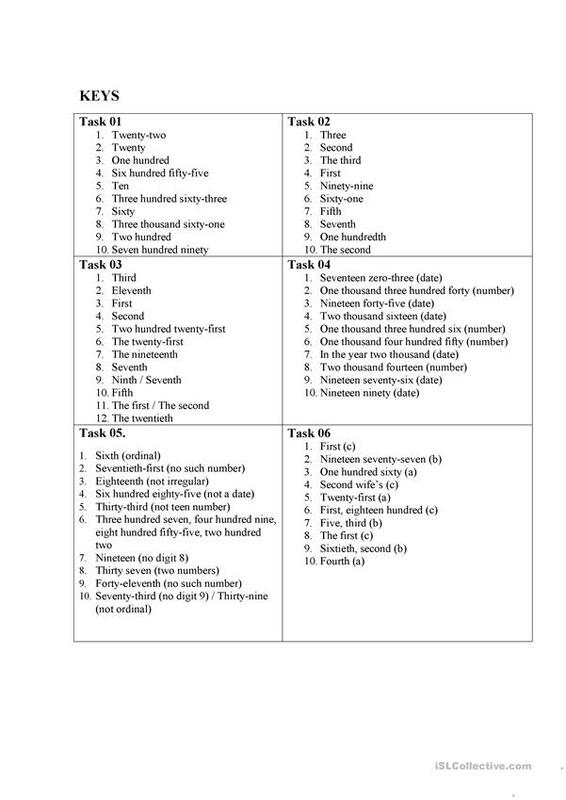 It's a cool worksheet dedicated to practise ordianl and cardinal numbers. The best thing about it is that you don't have any arabic digits here, thus all the tasks become much harder to do. My practice with my students shows that it is always fun to do it. The KEYS are attached, your comments and likes are always warmly welcome. 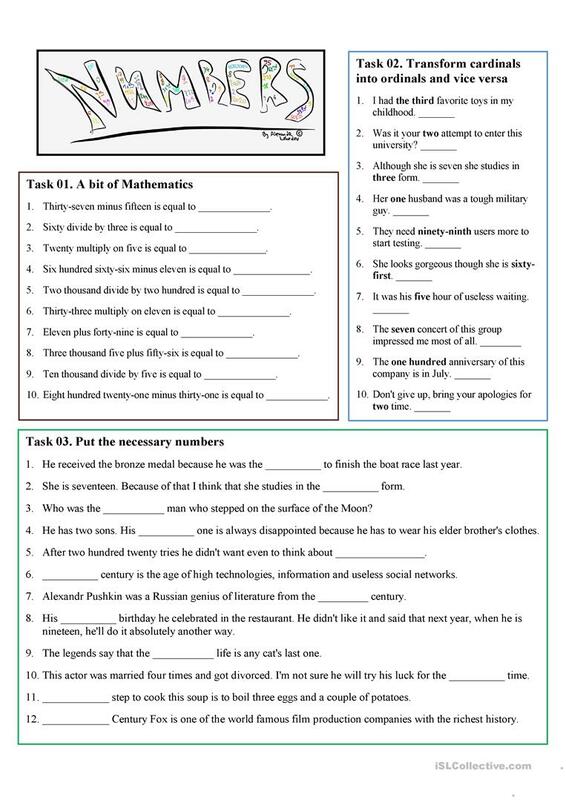 The present downloadable worksheet is a great resource for high school students and adults at Elementary (A1), Pre-intermediate (A2) and Intermediate (B1) level. It is aimed at consolidating Numbers: Cardinal numbers in English.